Agreed conclusions 23 March 2018. 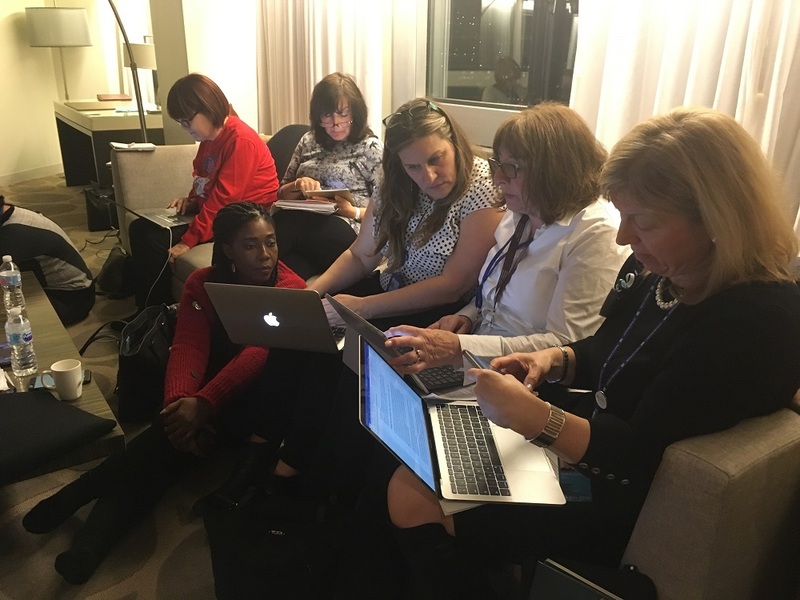 Photo: Following the release of Draft 2 of the agreed conclusions and after a full day of meetings, a Soroptimist team of 19 ladies from around the world, got to work at Soroptimist Central at the Hilton UN One Hotel. 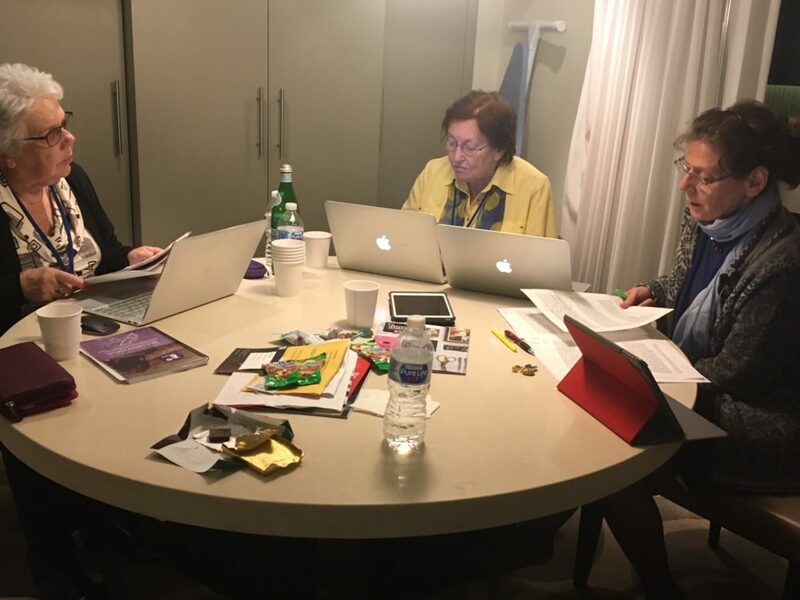 Under the direction of Pat Black and Linda Witong, the team reviewed the statement line by line to ensure the document contained the language to support the advancement of human rights and gender equality for women and girls. 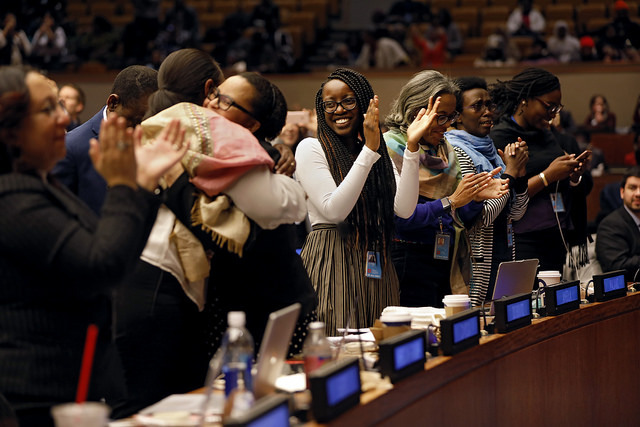 “There will be many NGOs disappointed with the latest set of Agreed Conclusions for CSW62. 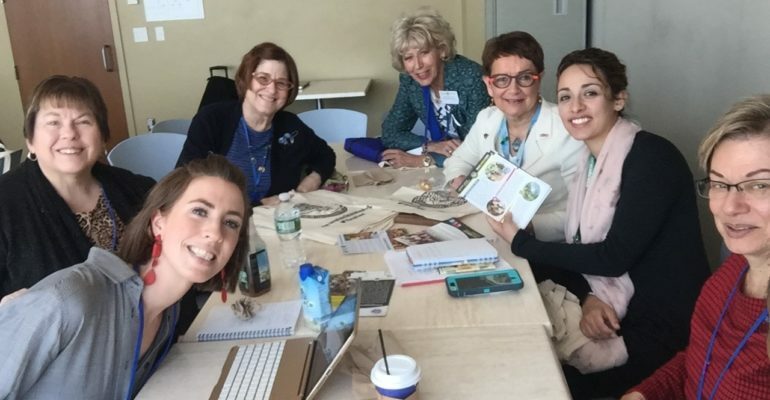 Their particular issue or wording will not be included in the final wording, and many will regret what they see as, the ‘watering down’ of stronger language protecting the human rights of women and girls. Others, including members of the Commission, are quite rightly rejoicing that finally the Chair could say: “I hear no objections” and so the conclusions by consensus were agreed. Just an hour before this pronouncement it was looking as though a few paragraphs, some sticky points, could not be agreed on, and tension was running high. The diplomats on supportive delegations worked hard, defending against positions which could see the agreement going back on previous resolutions. Then suddenly, with great relief, it was all over. 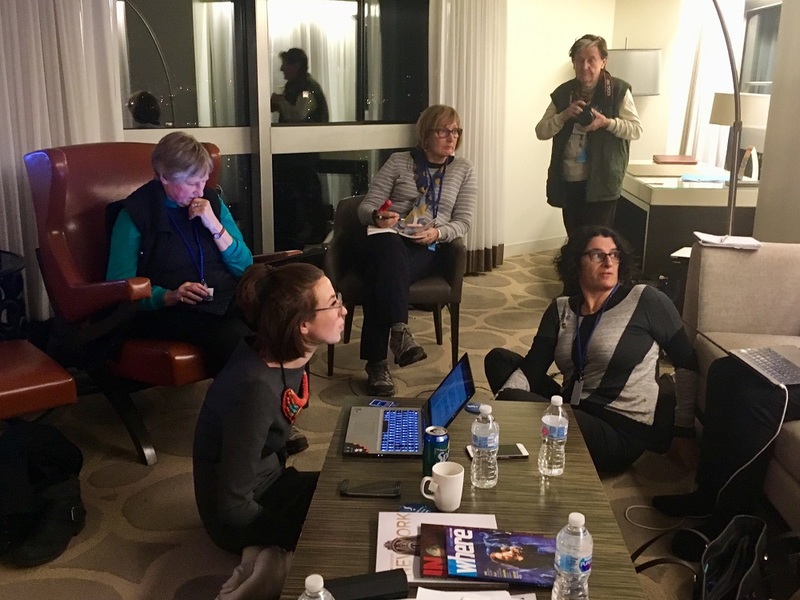 The Irish Chair, Geraldine Nanson Byrne, announced a short one hour break for recovery and to allow the Secretariat to type up the final unedited copy. The remainder of the agenda was dealt with quickly and the final copy was still not in the room, so another short adjournment. NGOs for once, received the electronic copy of the Agreed Conclusions before the Chair and Secretary received their hard copy! A quick scan to see whether critical wording was included, but no time for in depth analysis of what these paragraphs mean. That will come later when Civil Society is looking at how to hold their countries to account. But for the immediate, celebration, because last time this issue was considered there were no Agreed Conclusions for Rural Women and Girls. This time there had to be, because for women and girls living in rural areas the Sustainable Development Goals must have a meaning, since all evidence shows they need the greatest support to ensure No One Is Left Behind. Let us all make sure that this latest agreement by UN Member States is put into action”.